Sorry if this has been addressed already but I couldn't find anything when I searched. I have a BKK 2000 and I would love to add wheels to it. Buying the wheel stand and spine seems like too much hassle though. Has anyone successfully added castor wheels to the bottom of their keg before? Ordered some castor wheels and tried to install them today. I should have thought of this but the plastic feet have gotten a wee bit fragile over the years. I think this is going to work though. I think I'll cut some wood down to size in order to fit inside the keg's legs. And then install the castors. I'd like to see a photo of what you came up with McRoots. If I were to buy another keg I'd get the BKK 2000 also. I don't know what size the base is but I would buy something like this to sit it in. I have a Big Steel Keg that has the wheels. 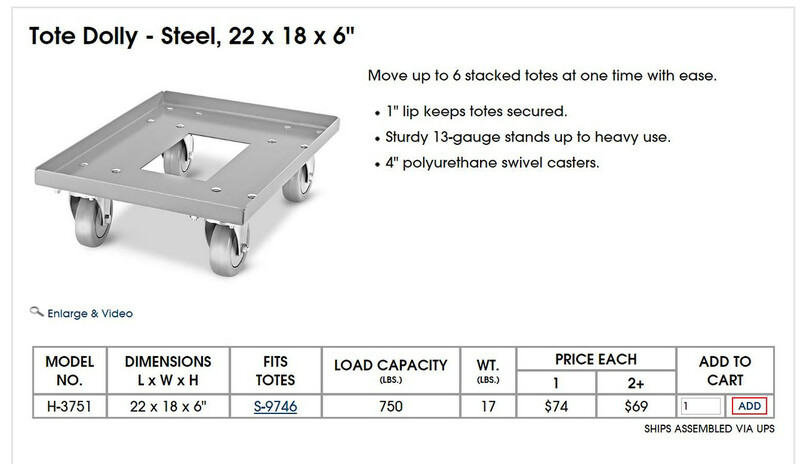 I'd prefer having casters so I could just roll it around without tilting it back like a two wheel dolly. These are available from ULINE, they come in different sizes. Most places of employment have discounts set up with ULINE if you could purchase through work. They come in different sizes. All wheels are swivel so it is easy to maneuver. We use these where I work, very well made and quality castors.